H&M Foundation and the Hong Kong Research Institute of Textiles and Apparel have just opened two first-of-its-kind textile recycling facilities in Hong Kong, in the name of clothing the world in a sustainable fashion. We are all culpable of the same shopping crime several times a year. Come sale season, stores turn into carnivals of disarray — elbows jostling, handbags slinging and dresses slipping from their hangers and onto the floor. The pursuit of scoring a bargain is absorbing because it provides a neurological pleasure that bolsters our mood and sagging self-confidence. Now, imagine the same scenario being played out in stores around the world. How many of these garments will end up in the landfill? A recent survey by a fashion company reveals that clothes in a millennial’s wardrobe are worn for only about five weeks before they are forgotten. That is probably equivalent to the shelf life of an unopened carton of milk. Worse, some of the garments remain unworn, with price tags still attached — a reminder of the owner’s compulsive binges. Consumerism is taking over our lives as a new form of entertainment because it intensifies the feel-good factor of buying and owning — it is a cyclical activity that feeds on itself. And this phenomenon is rampant in fashion havens such as Hong Kong, which reportedly discards 340 tonnes of textile waste daily. This staggering amount has impelled the non-profit H&M Foundation and the Hong Kong Research Institute of Textiles and Apparel (HKRITA), which inked a four-year partnership in 2016, to speed up the development of a closed loop for textiles. Last year, Options visited HKRITA’s chemical and biological textile treatment laboratory at the Hong Kong Science Park in Pak Shek Kok, New Territories. While the research centre only offers a lab-scale solution to break down textile blends, HKRITA, H&M Foundation and Novetex, one of the world’s largest single-site yarn spinners, have now set up a mini garment-to-garment (G2G) recycling shop in Tsuen Wan to educate the public on textile recycling, thereby fighting the throw-away culture. Consumers can now bring their unwanted clothes, put them through the container-sized recycling system and make a brand new garment. Fittingly, the G2G recycling system is housed in The Mills, a textile factory that has been revitalised by Nan Fung Group into a creative hub for innovation, culture and learning. Composed of glass and steel, with natural sunlight pouring through the ceiling, the industrial structure echoes Hong Kong’s zealous vision of a gleaming metropolis. The Mills, targeted to open in December, will also include a business incubator for tech-style start-ups, co-working spaces, experiential retail and the Centre of Heritage, Arts and Textile (CHAT), a non-profit arts and cultural institution exploring textile arts and innovation. Through the glass walls of the 40 sq ft G2G facility on the ground floor, one can see workers and machinery — organised in a linear sequence — methodically sanitising garments, removing hard trims, spinning yarn and knitting. The system can only produce knitwear at the moment and it takes between four hours and two days to make a new garment. In a small retail area that abuts the facility, consumers can purchase clothes made from the old threads churned out using HKRITA’s technology. If the miniaturised recycling system at The Mills demonstrates what HKRITA is capable of, Novetex’s 19,000 sq ft spinning mill at Tai Po Industrial Estate — the first to be built in Hong Kong in almost half a century —is probably the answer to our catastrophic and reckless fashion choices. When fully equipped in October, the mill will be able to spin three tonnes of recycled fibre from the same amount of textile waste each day. HKRITA’s mechanical recycling technology can upcycle textile waste into quality fibre, which can then be used to produce yarn, fabric and garments. 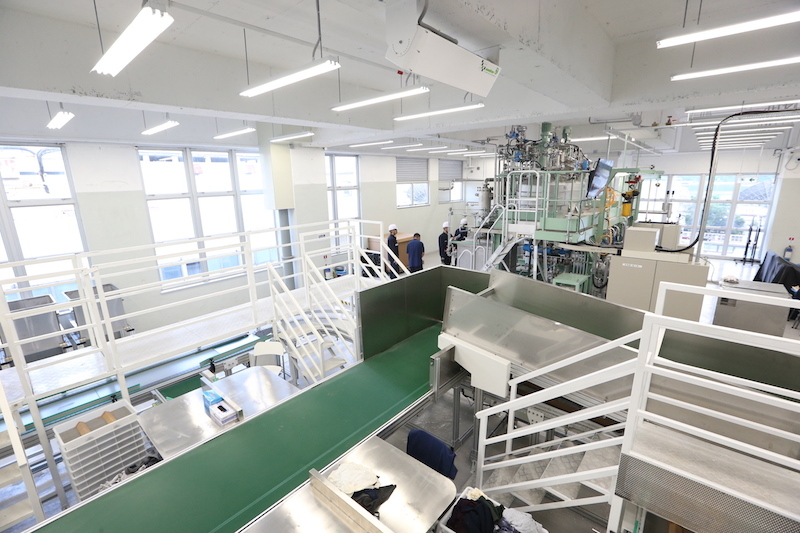 There is also a testing place for HKRITA’s breakthrough pre-industrial scale hydrothermal system, which uses pressure, heat and a biodegradable chemical agent to break down cotton polyester blends. The polyester fibres that are separated in the process can be used to manufacture new fabric, while cellulose powder decomposed from the cotton will serve as a building block for super-absorbency materials. All of these will work towards reducing the demand for virgin fibres in the textile industry. Ultimately, H&M Foundation and HKRITA want to scale up their technology and license the research results to everyone in the industry to achieve a greater impact on the environment. Fashion chain H&M, which is not associated with the privately funded H&M Foundation, is the mill’s first client. It will be receiving the first shipment of yarn in November. 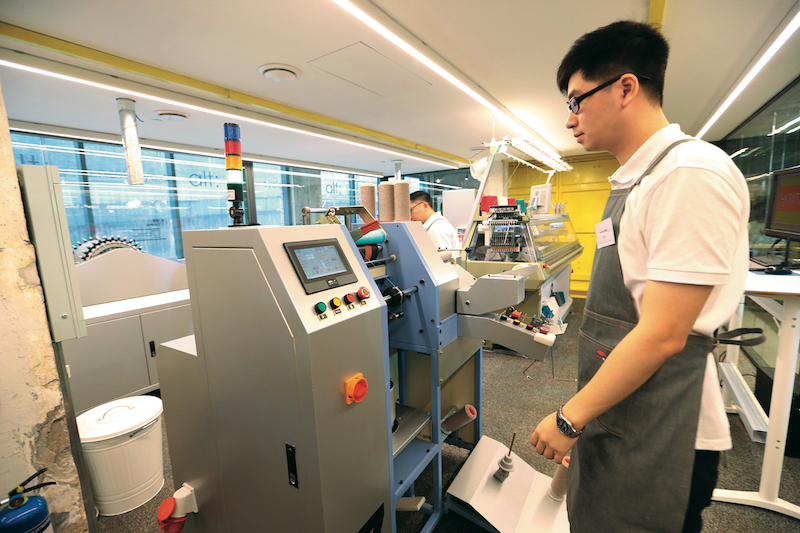 The small-scale G2G facility has also piqued the interest of many textile industry leaders who are looking to adopt and install such technology, says HKRITA CEO Edwin Keh. While these favourable responses indicate a clear path to progress, the road ahead is not without challenges. “Many countries have imposed bans on importing waste, shutting out a huge global aftermarket for post-consumer waste,” Keh explains. For example, China, which last year slapped import bans on 24 types of waste, including scrap paper, plastics and textiles, has thrown the recycling industry into turmoil as the country doubles down on its environmental efforts. And this is why a viable and ready solution like H&M Foundation and HKRITA’s textile recycling technology is more urgent than ever. It proves that waste can, in fact, be a valuable resource. Most people assume that recycling of plastic bottles or switching to paper straws must be doing a lot for the planet but it is the using and managing of our resources efficiently that will bring about tangible change. We just cannot afford to be profligate anymore. This article first appeared on Sept 17, 2018 in The Edge Malaysia.